Colorado and the West offer some of the most spectacular scenery in the world for landscape photography. Rocky Mountain Reflections Photography Workshops are designed to assist all skill levels from beginners to advanced in capturing the best of the locations we visit. PHOTOSHOP - Personal beginner and intermediate Photoshop instruction. Be prepared for the upcoming workshop. Click on the link below to view lessons and print pertinent handouts. Topics include: Composition, Camera Settings, Night Photography, Shooting Panoramas, Tripods, Field Workflow, New Lens Testing. Series of video lessons teaching post processing for Landscape and Nature Photographers. Review Andy's galleries. If you like his images, consider taking one of our workshops. We visit breathtaking locations and Andy shows his techniques for capturing images. 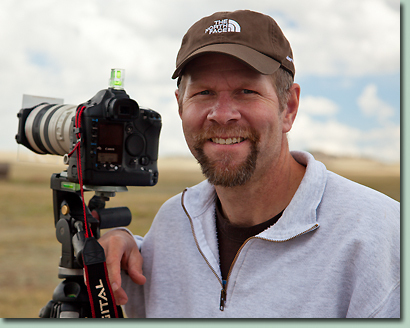 He will assist participants in developing their field photography and Photoshop skills. Millions of photographs are taken in Colorado and the West each year. Unfortunately for many photographers, the images they take don't live up to their expectations, or look anything like the breathtaking images enticing visitors to the region. Often, for more advanced photographers, the problem is simple - they do not have adequate time to discover the best shooting locations of an area. For others, gaining an understanding of proper composition, exposure, metering and post processing must be tackled first, in order to consistently produce quality images. At Rocky Mountain Reflections Photography Workshops our instructors offer expert technical, compositional and post processing advice according to the needs of each individual. We visit some of the most photogenic locations in the U.S., creating diverse opportunities for participants to capture breathtaking photographs. Rocky Mountain Reflections Photography, Inc. is an Equal Opportunity Service Provider. View workshop videos & photos. Membership not required. 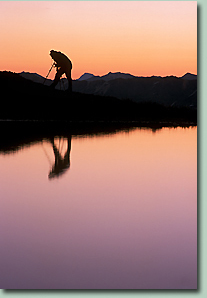 Rocky Mountain Reflections Photography, Inc.